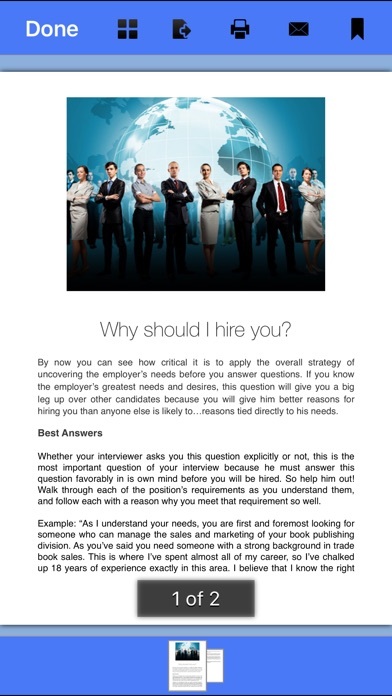 Wouldn't it be great if you knew exactly what a hiring manager would be asking you in your next interview? 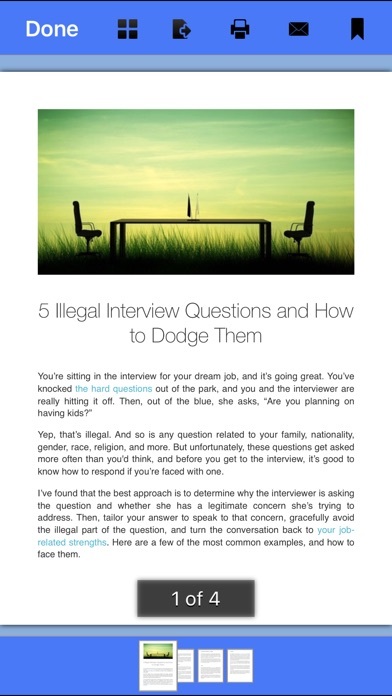 While we unfortunately can't read minds, we'll give you the next best thing: a list of the 51 most commonly asked interview questions and answers. 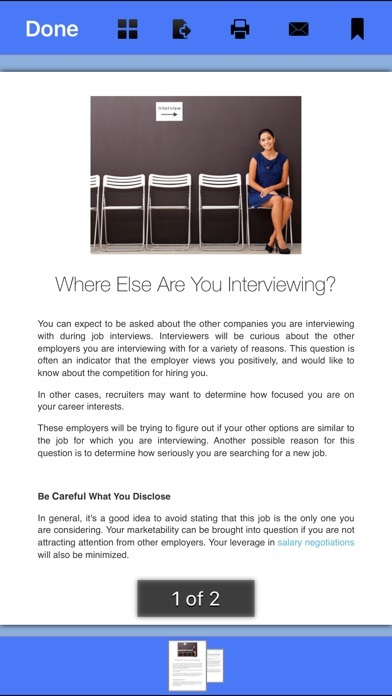 While we don't recommend having a canned response for every interview question (in fact, please don't), we do recommend spending some time getting comfortable with what you might be asked, what hiring managers are really looking for in your responses, and what it takes to show that you're the right man or woman for the job. 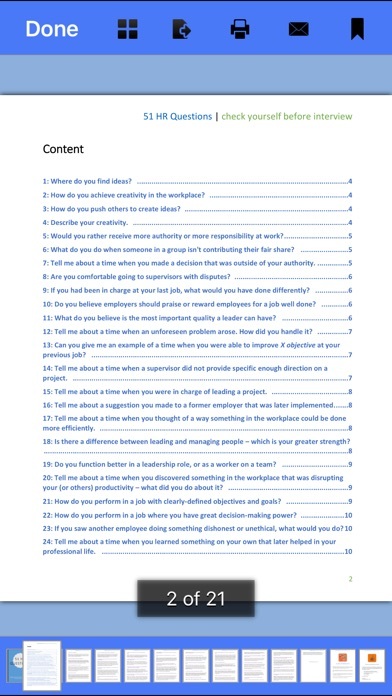 Consider this your interview study guide. 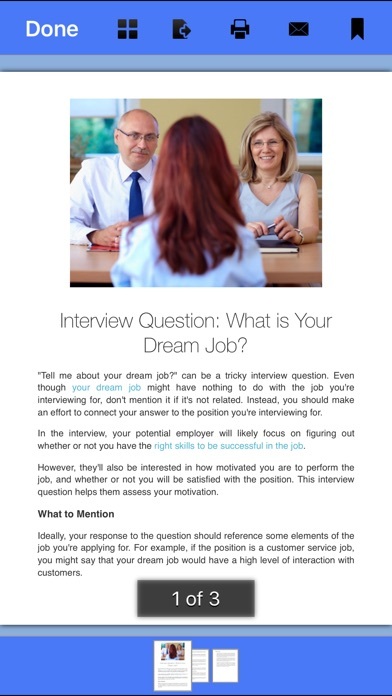 What is included: ◉ 51 Most Common Job Interview Questions ◉ 51 HR Questions and Answers ◉ 19 CV Templates ◉ 19 Cover Letters FEATURES: ◎ Download, print or e-mail PDF documents! ◎ Zoom, pinch, bookmark! ◎ Swipe left or right to slide to next-previous page. ◎ Use one app on iPhone, iPod Touch and iPad! ◎ Always new content will come in regular updates! ◎ 100% Ad Free. Jazz Up Your Life! Good luck! Your ShamanMachine Team. NOTE: Please configure your mail account on the device before sending email from within the application!